The Kelpies - you can't miss these 30 metre high, metal horse head sculptures if you drive along the M9 motorway near Grangemouth. 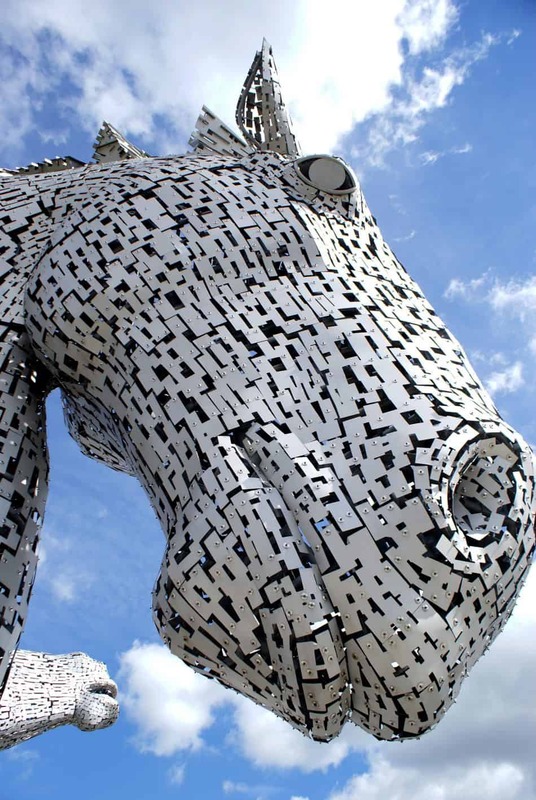 What is a Kelpie? 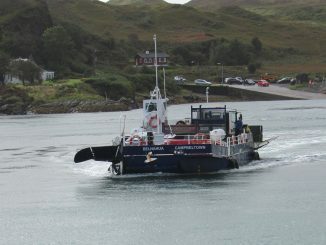 A Kelpie, or Water Horse is a mythical Scottish water spirit which lives in the lochs of Scotland. Usually in the form of a horse, it can also transform into human shape. 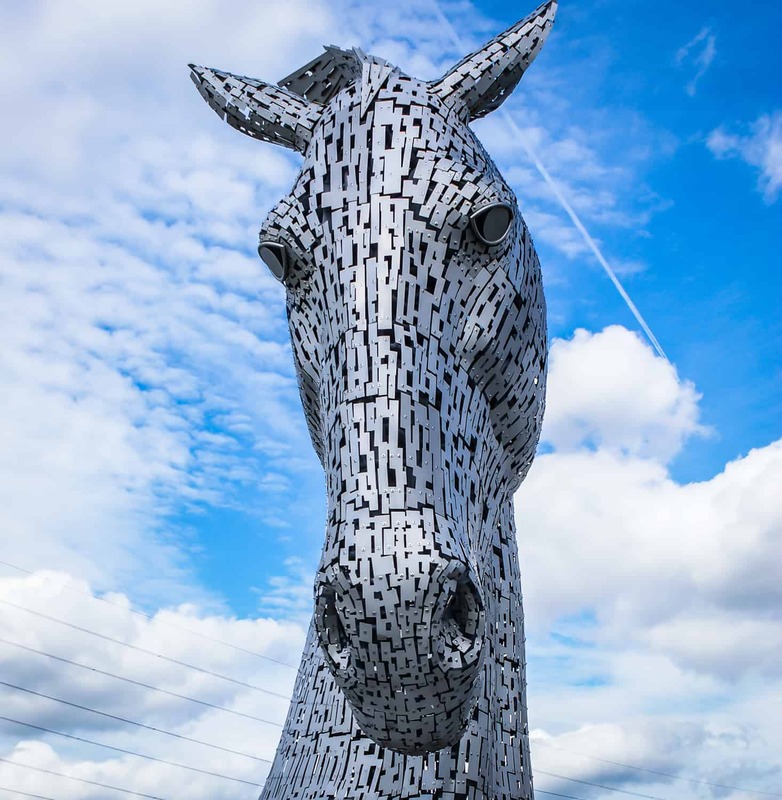 These particular Kelpies are impressive from a distance, and stunning when you are close up. They were created by Scottish sculptor Andy Scott and are a monument to the horses that drew the canal boats along the Forth and Clyde canal. 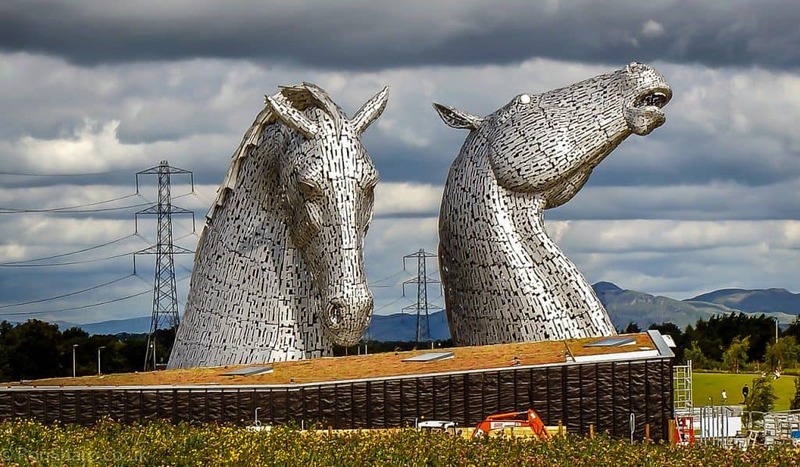 They are located in a large area of Parkland known as The Helix. 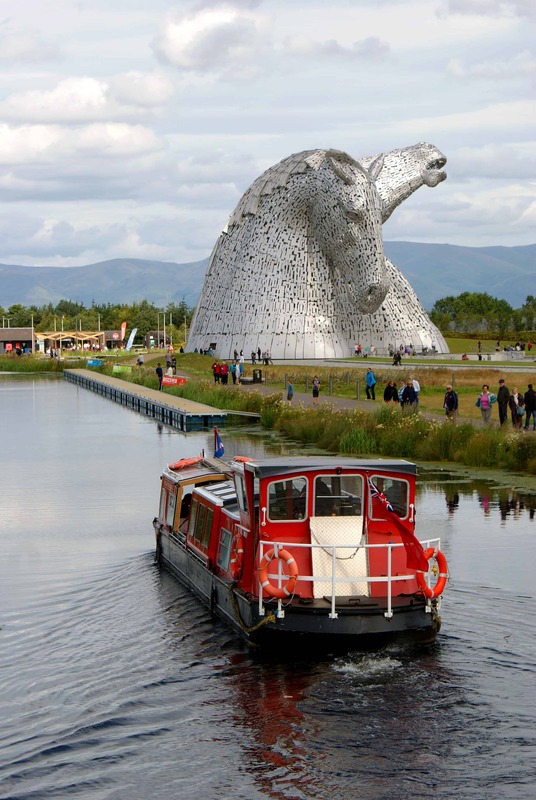 They are well worth a visit, and it is also very easy to combine your kelpies visit with a visit to the Falkirk Wheel - an impressive piece of Scottish Engineering.